Scott Lucas swore he would never fall in love, especially not with the woman he was currently holding for ransom. But in all honesty, he was halfway there and she made up the difference. Riley Ledger has more spirit than a Ouija Board and more stubbornness than an ox. She can hold her own in a fight and can drink anyone under the table. 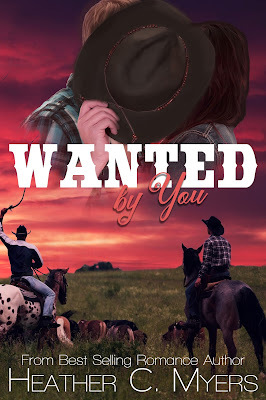 Her mother's dead, her sister loves her but is ashamed of her, and her father - the sheriff - wants to marry her off to any man that will take her. Enter Reese Hemingway: attractive, rich, and everything Riley hates in the male species. When she's saved from a slap by wanted criminal Scott Lucas, she's more than a little intrigued. He's dirty, dangerous, and mean - unlike any other man she's met before. That's only emphasized by the point he decides to take her hostage. She vows to hate him more than she's hated anything or anyone before. It's a good thing she's not a betting woman.